Ence Energía y Celulosa is planning to develop a new biomass power plant in Puertollano, Ciudad Real. The site of Elcogás’s failed gasification plant is currently under consideration to be used, which will provide the 25,300 square metres required for the facility. The biomass plant will have an annual electrical generation capacity of 400,000 MWh and heat output of 149 MWth. Agricultural, forestry and agroindustrial biomass will be used as feedstock. ANDRITZ has received an order from MES to deliver a PowerFluid circulating fluidised bed boiler with flue gas cleaning system for a new biomass plant in Ichihara, Chiba Prefecture. When complete, the facility will process palm kernel shells and wood pellets to produce 49.9 MW of energy. You can catch up on the latest updates from this project by clicking here. BDI – Bioenergy International has announced that it will be constructing a new biodiesel plant in Bakersfield, CA, which will be the first of its kind in the US. The facility will be owned by Crimson Renewable Energy and will mainly process fats, oil and grease to produce high-quality biodiesel. BDI will use their patented RepCAT technology at the plant, which features a low-cost recyclable catalyst and the flexibility of processing different feedstocks. If you’d like to find out more about this project, click here. It will be available to access in full for the next 7 days, so don’t miss out! Sønderborg Forsyning has been planning to develop a district heating plant with two biomass-fired boilers, but approval has been delayed due to structural changes within the planning authority. The boiler units are expected to use up to 20,000 tonnes of straw per year, and when complete, will supply heat to over 10,000 homes in Sønderborg and the surrounding areas. To make sure you’re up-to-date with the latest from this project, click here. The district heating system in Ivano-Frankivsk is set to be modernised as part of a project that originally began back in 2010. Enerstena is responsible for the supply of biofuel boilers, a 4 MW water heating boiler and condenser, fuel storage and improvements to two existing gas boilers. Earlier in November 2017, a tender was issued for the supply and installation of 170 individual heating substations, with a closing date of 4th January 2018. To take a look at the fuel details associated with this project, click here. 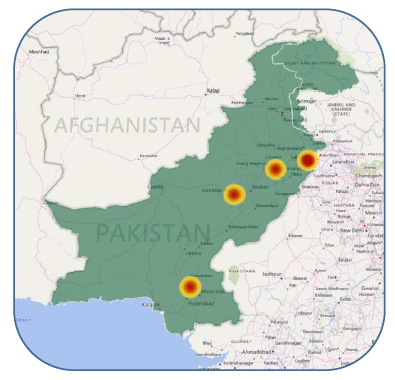 The next edition of our Global Waste Investment Fact Files features Pakistan. As of August 2017, AcuComm was listing eight projects in the country. These have a total value of US$773 million, or US$97 million each. 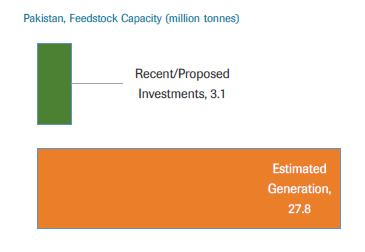 Incineration (with energy recovery) is the leading project type, accounting for US$593 million or 77% of the total. This is followed by waste processing, accounting for US$113 million or 15% of the total. The total estimated capacity of these projects is 3.1 million tonnes. This is equal to 389,433 tonnes per project on average. This capacity is equal to 11% of Pakistan’s estimated annual waste generation at 27.8 million tonnes. Waste investments totalling US$668 million are expected to become operational over the next few years. This is currently expected to peak in 2020 at US$75 million. Alternatively, you can take a look at all of Pakistan’s projects in the AcuComm database by clicking here. When the Longue Hougue landfill reaches full capacity in 2020, current preferences are for the site to be expanded according to the Government of Guernsey. It is hoped that extending to the south could provide capacity for the disposal of construction and demolition waste for a further 15 years. The Government’s recommendations have yet to be approved, and an Environmental Impact Assessment will need to be carried out before detailed plans can commence. This project is now available to access without subscription for the next 7 days. To take a look at the full details, click here. 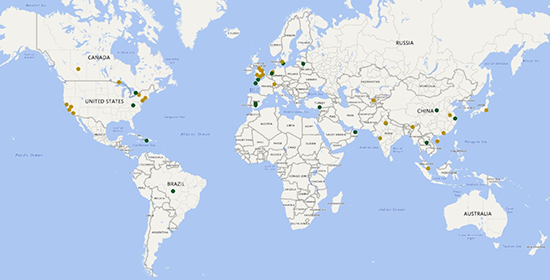 In the week ending 24th November 2017, AcuComm added or updated 46 projects to our database. These have a combined estimated value of US$2,634 million. There were 17 new projects this week, with 29 updates. This brings the total number of active projects in the AcuComm database to 4,977. They have an estimated value of US$349 billion, or US$70 million on average. The UK was the leading country in the past week in terms of project value, accounting for US$785 million. This was equal to 29.8% of the total for the week. To catch up with the latest Waste, Bioenergy and Recycling projects added to our database, click here. MVV Energie is planning to invest €100 million at its waste-to-energy (WtE) site in Friesenheimer Insel, Baden-Württemberg. The company will be integrating its combined heat and power plant into the existing district heating network and will supply local enterprises with any heat recovered from the thermal waste. On top of this, MVV is also investing in a new innovative plant for phosphorus recovery and the digitisation of the control room. To catch up on the latest updates from this project, click here. A consortium led by CNIM on behalf of Syctom is developing a new waste sorting centre in Clichy-Batignolles, Paris. The first stone to mark the start of construction was laid on 10th November, with the facility due to come into operation by 2019. The sorting centre, which will be Syctom’s second in the city, will process the household waste from over 900,000 people to prepare it for recycling. If you’d like to find out more about this project, you can do so by clicking here. Lakay Vèt is developing an anaerobic digestion plant in Croix-des-Bouquets that will separate mixed municipal solid waste into organic matter. It will be treated to produce biofertiliser, biogas and fuel for both vehicles and cooking. Any non-organic materials that are sorted will be baled and used locally or sold on the recycling market. A pilot facility is anticipated to be launched in mid-2018. To explore the latest updates to this project, click here. The Bengbu City Refuse Incineration Power Plant in Anhui Province has successfully completed a 72 + 24 hour trial operation after construction works finished. In the first stage of the project, the facility will have a waste capacity of 1,210 tonnes per day (tpd). This will later increase following the second phase, with an extra 750 tpd to be delivered. To explore the details of this project in full, click here.